This information is for baseball divisions only. To determine if a player elligible to play in our league, see our "League Boundaries" page. When registering for the spring season, a player will request a level of play at a particular level. But what level? The following provides an overview of Pacific Little League Divisions. 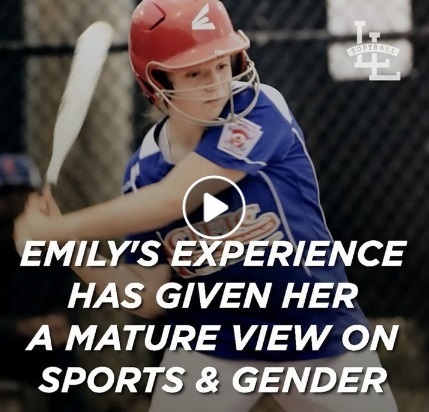 While Little League International uses the "League Age" requirements to define eligibility for upper divisions, each little league is able to define their own age criteria to separate players for safe play in younger divisions. "League Age" is determined by Little League International. Pacific Little League is open to all children between the ages of 4 and 18 who reside in the boundaries, as defined by their residence or school address. In an effort to address the most common question among parents and players, we have outlined the appropriate division choices for your player below. Contact the VP of Baseball for questions or recommendations regarding the appropriate division. *To request an exception to the outlined division eligibility below, please see important instructions below, then contact the Player Agent. T-Ball is designed to be the first introduction to baseball. This is the appropriate division for league age players 4, 5, & 6. All batted balls are hit from a stationary tee. While defense is taught and encouraged, there are no official "outs" and the offense hits through the entire rotation each half inning (last player rounds the bases). Some 6 year olds may be ready for the Farm division. Typically this is based on previous T-Ball experience, experience/exposure to the Farm pitching machine, and a general understanding of baseball. When T-Ball can be skipped: Only if the player's first season of baseball is age 7 or older. How T-Ball teams are formed: Buddy-requests as possible. Siblings: Guaranteed same team, if requested. Farm is the next step for baseball development at PLL. Batters receive (up to) 5 pitches per at-bat from a pitching machine and 3 outs are played per half inning. Farm is most often the appropriate division for league age players 6, 7, & 8. Some 8 year are will be ready for 89ers. When Farm can be skipped: Only when the player's first season of baseball is at league age 9. When a 5 year old can play Farm: With Player Agent approval, based on prior experience and a completed T-Ball season. In addition, we may need a child's parent/guardian to serve as an assistant coach on the same team. How Farm teams are formed: Buddy-requests as possible. 89ers (previously Super 9's) is Pacific Little League's introduction to player pitching. For those familiar with the Super 9s, this is a major upgrade. The former reputation of Super 9s/89ers lacking action and being "too slow" no longer applies to this division! The first 3 games are coach pitch to allow for player pitching mechanics to develop in practice. Once player pitch begins, there are NO walks (this speeds up action). Players pitching and batting will have a standard 3 strikes/4 balls at-bat. If 4 balls are registered, the pitcher moves to a defensive position and a coach of the at-bat team provides 3 pitches to the batter. Eliminating walks addressed a couple issues; most importantly it allows players to experience and develop pitching without fear of a walk-after-walk outing. Additionally it speeds up the game and provides a higher likelihood of action for the defense. It's working-- Feedback across the board on the new 89ers format has been exceedingly positive. This is no longer the division for 9-year-olds to skip! When 89ers can be skipped: Only when the player's first season of baseball is at league age 10. When an 8 should play 89ers: Often after completing 2 farm seasons a league age 8 player is ready for 89ers. This is based on player confidence, basic skills, and general understanding of baseball. How 89ers teams are formed: Up to (3) coaches and their kids can be assembled per team predraft, balance is via blind draft. Minors introduces a traditional 3 strike/4 ball count with 4 balls resulting in a walk. Base runners can advance bases at their own peril once the ball passes home plate, or is hit into play and until the pitcher has the ball on the mound and ready to deliver the next pitch. When league age 9 players can play Minors: After completing a full season of 89ers division (or obtaining exception from Player Agent) and upon attending Minors tryout. Minors tryout: A skills-based tryout will be held for all league age 9 players wishing to play Minors. The objective of this tryout is to help determine the appropriate division for all players to have the most fun season possible while ensuring opportunity to develop and succeed. Majors is fast-paced baseball following traditional rules. All players wishing to enter Majors for the first time are required to attend Majors tryouts. Players who are not drafted will be placed on a Minor's team. Returning majors players do not need to attend tryouts. When league age 10 & 11 players should tryout for majors: After completing a season in the Minors division and demonstrating the ability for the next level. League age 10 players in majors will typically experience less defensive playing time and more difficult at-bats due to facing more skilled pitchers. It is not uncommon for league age 10 players, who completed a Minors division at age 9, prefer to play a second season in Minors to allow more opportunity for player and skill development. *Note League age 12 players are generally assumed as Majors division and will be drafted following a tryout. Some league age 12 players may best fit in minors due to safety and comfort. If you have safety concerns for your league age 12 player don't hesitate to contact the VP of Baseball, Player Agent, or Safety Officer. The Intermediate League level is a competitive level that continues to stress fundamental baseball with larger fields, and full baseball rules. Players who are league age 11 to 13 are eligible for selection to an Intermediate team. This division is by draft after a tryout. Games are played at Scriber Field in Lynnwood and at other District 1 fields. District wide interleague play is expected during the regular season. The Juniors division is the first division that the game is played on 90' bases. Players can take leads and the game mimics the rules of higher levels of baseball. Players who are League Age 12 to 14 are eligible for selection to a Juniors team. This division is by draft after a tryout. Standard Baseball: 60'6" and 90 ft bases. Games are played at Scriber Field in Lynnwood and at other District 1 fields. District wide interleague play is expected during the regular season. Standings are kept and there is a District wide post-season tournament. The Seniors division continues the natural progression of baseball, with the game played on 90' bases. Players who are league age 14 to 16 are eligible for selection to a Seniors team. This division is by draft after a tryout. Players are occasionally able to play up in a higher division than their age dictates due to thier skill level and/or past experience (as outlined above). If you believe your child should "play up", follow the below steps. DO NOT alter your child's age in the system to accomodate this desire. You will be required to show proof of age before the season begins. Register in the division your age range dictates. In the "Special Request" section of the registration process, note that your child would like to play up a division. After finishing the registration process, email the player agent playeragent@pacificlittleleague.com. -a brief explanation of past experience and/or why they should play up a division. Once approved, players will be internally moved into a new division by our player agent. Any change in registration cost (different levels of play may have different playing costs) will be reflected in your Pacific Little League online account as a balance due. The player agent will email you after the move and request that you pay the remaining balance in your account. Copyright © 2001 - 2019 Pacific Little League. All Rights Reserved.